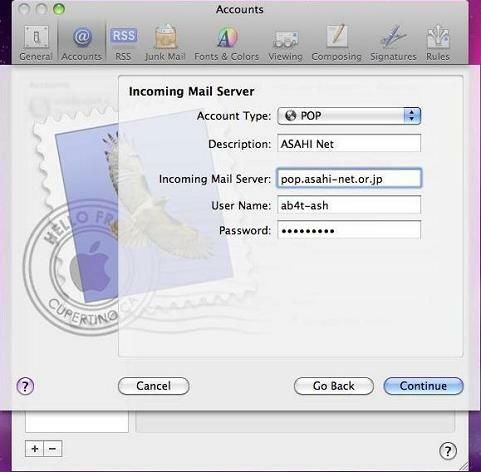 The example on this page shows how to set up Mail for the first time. 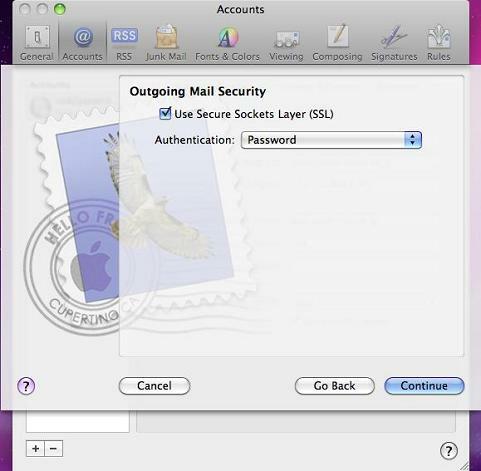 If you have other mail accounts in Mail already, the wizard will bring up additional windows. 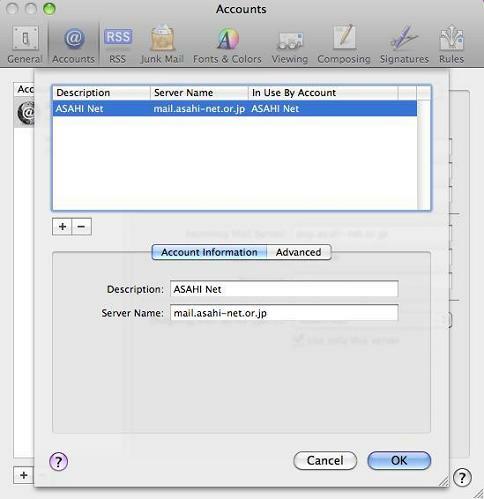 The Adjusting your Mail settings section shows how to confirm your settings. 15. 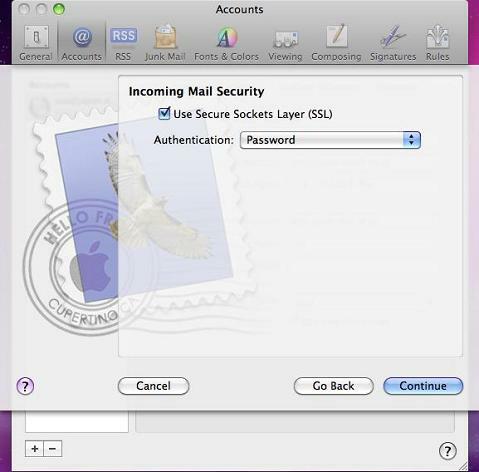 You are now returned to the Mac Mail window. 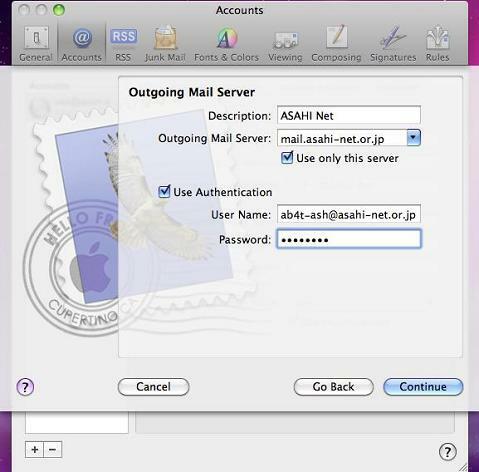 Please continue with Adjusting your Mail settings as explained below. 1. 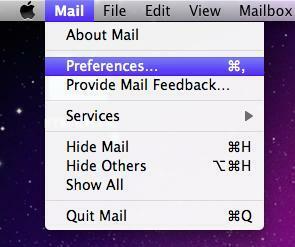 From the Mail menu, choose Preferences. 2. 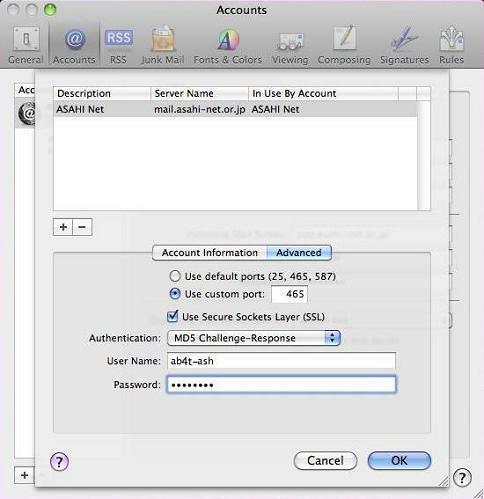 Click the Accounts button then click on the Account Information tab and check your settings. 3. 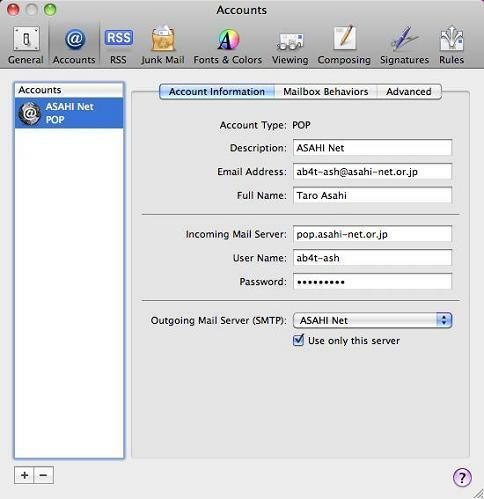 Click on the Outgoing Mail Server (SMTP) drop down bar. 5. In the window that appears confirm your settings (as listed below). 6. Click on the Advanced tab, and make sure your settings are as listed below. 8. Click on the Advanced tab. 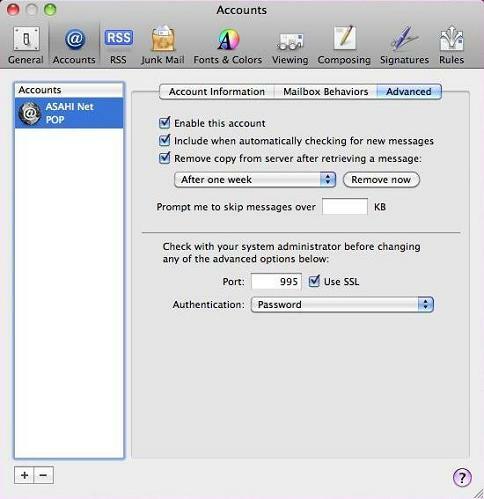 In the window that appears, make sure your settings are as listed below. 9. Click the Composing button. If prompted to Save Changes, click Save. 10. 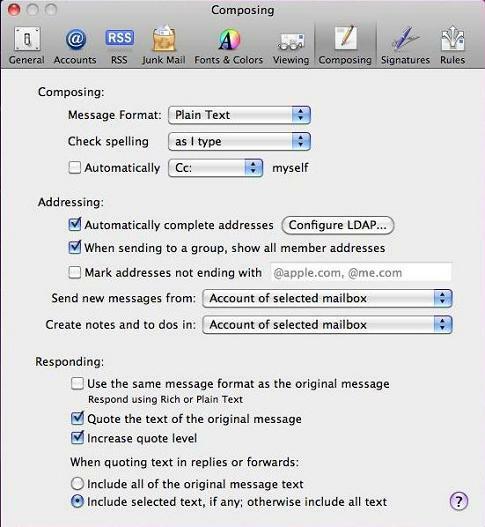 In the Composing: Message Format box, choose Plain Text. Other settings are arbitrary. Close the window. 11. 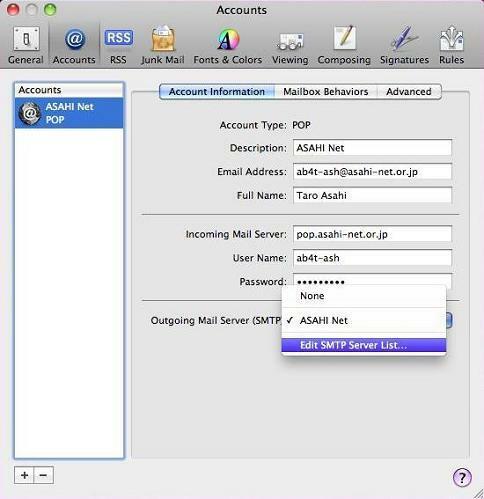 If your Mac is connected to the Internet, you should now be ready to get your Asahi Net email and send new email messages. 1. 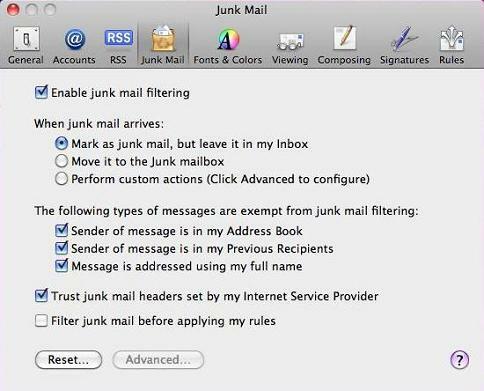 Mail has an optional Junk Mail filter that may be helpful in controlling spam mail. 2. 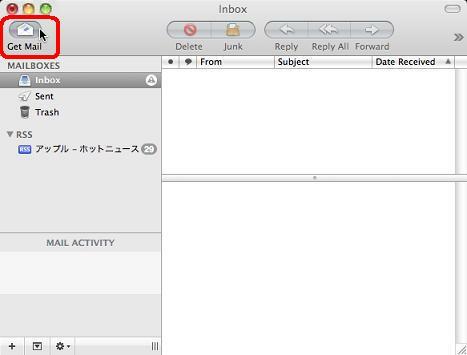 If interested in using Junk Mail, please open the Help menu and type in Junk Mail to find out more about how to use it. 1. Get connected to the Internet. 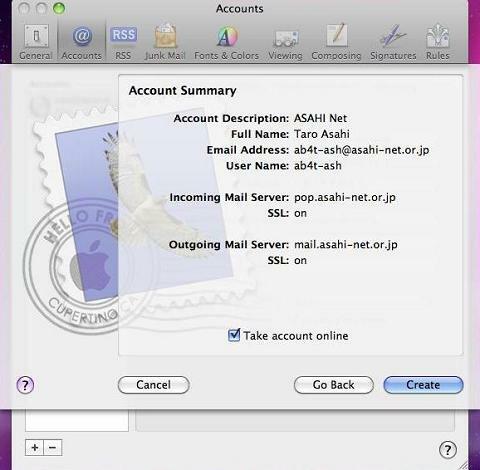 Open Mail and click the Get Mail button. 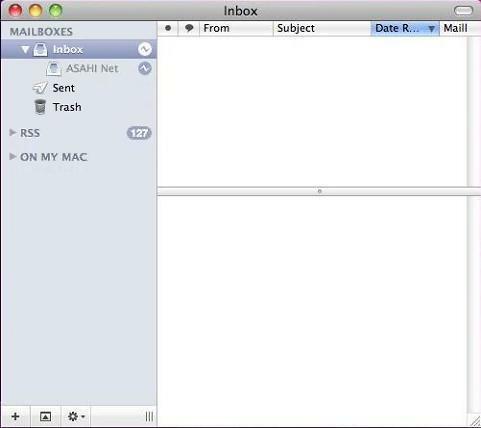 Your email should start downloading into the Mail inbox.